Abner Louima, an activist against police brutality, is unfortunately best known for being brutalized, sexually assaulted, and savagely beaten by New York Police Department officers in 1997. Louima was born in 1966 in Thomassin, Haiti, the oldest of his parents’ four children. His father worked as a tailor and his mother was a homemaker. In the early 1980s, members of Louima’s family began to relocate to New York City to escape the political turbulence in Haiti. Louima remained in Haiti long enough to finish his education. He eventually received a degree in electrical engineering from the Ecole Nationale des Arts Métiers in Port-au-Prince, the nation’s capital. In 1991, he immigrated to New York City and worked at a variety of places including a car dealership and a leather bag manufacturer. In addition, Louima took a handful of English classes at nearby Kingsborough Community College. He eventually settled into a job as a security guard. On the night of August 9, 1997, Louima was at Club Rendez-Vous in the Flatbush section of Brooklyn when a fight broke out between two female club goers. He and other men attempted to stop the fight just before police officers from the NYPD’s 70th precinct responded to a call reporting the disturbance. Once officers arrived on the scene, a fight between them and club goers commenced. Justin Volpe, a NYPD 70th precinct officer, was punched and believed—incorrectly, as it turns out—that Louima had done it. He arrested Louima on charges of disorderly conduct, obstructing police, and resisting arrest. On the way to the police station Louima was subjugated to beatings by the police officers who used their fists, hand-held radios, and nightsticks. Once they arrived at the station Volpe took Louima to the bathroom, kicked and squeezed his testicles, and then sodomized him with the handle of a plunger. Volpe then pushed the handle of the plunger into Louima’s mouth. All these events occurred while Louima’s hands were handcuffed behind his back. The following day Louima was brought to the Coney Island Hospital emergency room with multiple injuries including broken teeth and severe damage to his colon and bladder. The officers said his injuries were the result of “abnormal homosexual activities” but an ER nurse doubted these claims and called Louima’s family as well as NYPD’s Internal Affairs bureau. Her call initiated local and eventually national press coverage of the police officers’ brutal assault on Louima. Officer Volpe was found guilty in December of 1999 of assaulting Louima and threatening his life. He was sentenced to 30 years in prison without the possibility of parole. Charles Schwartz, another NYPD 70th precinct officer, was convicted of assault on Louima in June of 2000 and sentenced to 15 years behind bars for assisting Volpe in the bathroom. Three other officers, Thomas Bruder, Michael Bellomo, and Thomas Wiese, were indicted in 2000 for trying to cover up the assault but their convictions were later overturned in 2002 due to a lack of evidence. 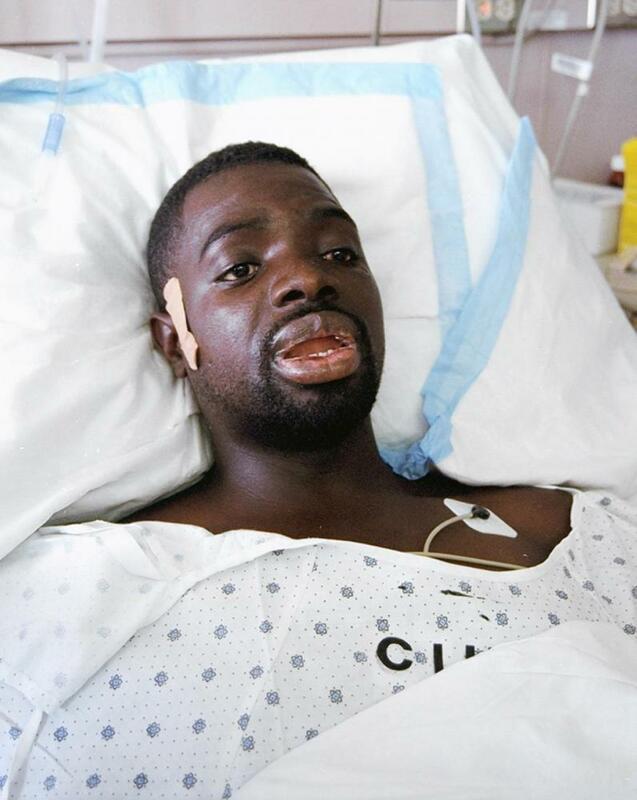 Abner Louima was paid $8.7 million dollars as a result of a civil suit against the city, the largest police brutality settlement in New York City’s history. With the $5.8 million he kept after legal fees were assessed, he and his family established a charity in Haiti. Louima now lives in Miami Lakes, Florida, with his wife Micheline, and their three children. He is a frequent speaker on police brutality and police-community relations. Sewell Chan, "The Abner Louima Case, 10 Years Later," The New York Times, https://cityroom.blogs.nytimes.com/2007/08/09/the-abner-louima-case-10-years-later/?_r=0/hmtl; David M. Herszenhorn, "Family Describes a Readily Friendly Man," The New York Times, http://www.nytimes.com/1997/08/13/nyregion/family-describes-a-readily-friendly-man.html?rref=collection%2Ftimestopic%2FLouima%2C%2BAbner/hmtl; Julian Kimble, "A Recent History of NYPD Brutality," Complex, http://www.complex.com/pop-culture/2013/01/a-recent-history-of-nypd-brutality/. Sewell Chan, “The Abner Louima Case, 10 Years Later,” The New York Times, https://cityroom.blogs.nytimes.com/2007/08/09/the-abner-louima-case-10-years-later/?_r=0/hmtl; David M. Herszenhorn, “Family Describes a Readily Friendly Man,” The New York Times, http://www.nytimes.com/1997/08/13/nyregion/family-describes-a-readily-friendly-man.html?rref=collection%2Ftimestopic%2FLouima%2C%2BAbner/hmtl; Julian Kimble, “A Recent History of NYPD Brutality,” Complex, http://www.complex.com/pop-culture/2013/01/a-recent-history-of-nypd-brutality/.